SABIC has announced two revolutionary LEXAN™ sheet solutions for aircraft interiors today at the Aircraft Interiors Expo. These innovative, new offerings – clear LEXAN XHR2000 sheet and LEXAN LIGHT F6L300 sheet — will help provide long awaited solutions to airlines’ quest for differentiated cabin interior designs while also helping to take out significant weight, resulting in a more fuel efficient aircraft. Design engineers will benefit from these lightweight, durable materials which can help to reduce system costs, offer ease of fabrication and comply with the industry’s strict regulatory standards. 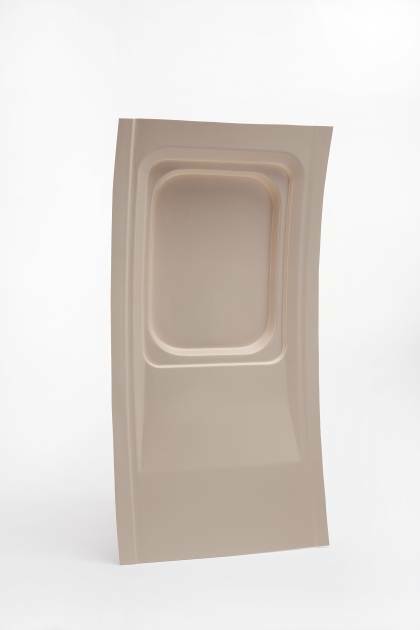 “SABIC understands the need for its aircraft interior customers to not only stay ahead of design trends, but also to meet the demand for lighter weight aircraft interior components that can help improve overall fuel efficiency of the aircraft. SABIC’s durable, lightweight LEXAN XHR2000 and LEXAN LIGHT F6L300 sheet solutions are market-first solutions, created to help our customers remain at the forefront of innovation in this exciting environment where aesthetics, safety and sustainability are all critical,” said Kim Choate, Director of Mass Transportation for SABIC’s Innovative Plastics business. Aircraft interior designers are often restricted by the clarity and compliance limitations of the transparent materials currently available to them. With 80% light transmission – the highest level of light transmission available in an OSU-compliant sheet material today – SABIC’s new clear LEXAN XHR2000 sheet is a pioneering option for aircraft interiors with this level of transparency while still meeting OSU 65/65 heat release and typical industry flame, smoke, toxicity (FST) requirements (FAR25.853, BSS7239, ABD0031). Robust vertical burn performance is also possible with the use of a post-secondary process, such as a functional coating or laminated film, which adds further design, chemical resistance and scratch resistance properties. LEXAN XHR2000 sheet facilitates the design of large components such as security partitions and oversized windows, which are becoming increasingly popular in top deck designs. Additionally, it enables future innovation, helping designers find answers to unmet needs, such as the evolution of self-service refreshment stations on aircraft which require large transparent windows so that passengers can see what is available. Other potential applications include partitions, dust covers, instrument displays, entertainment screen partitions and divider panels, galley equipment panels, protective panels, stairs/railing panels, barriers, windows, mirrors, lighting lenses, door and refrigeration systems and printed, custom laminated applications that require transparent/translucent graphic designs. SABIC’s new patent-pending high performance LEXAN LIGHT F6L300 sheet is the lightest thermoplastic sheet option available today regardless of base material that complies with flame, smoke and OEM toxicity. With a specific gravity of 0.85 g/cm3, it offers up to 40% weight savings when replacing traditional polyvinyl chloride and acrylic blend (PVC/PMMA) -based sheet products for potential applications such as seating parts, cockpit dashboard enclosures, partitions, luggage compartments and passenger service units. LEXAN LIGHT sheets meet typical industry flame, smoke density and toxicity requirements (BSS7239, ABD0031). On average, an aircraft will burn about 0.03 kg (.06 lbs) of fuel per hour for each kilogram (2.2 lbs) carried on board. Given that the total commercial fleet flies approximately 57 million hours per year, cutting just one kilogram per flight would save roughly 1,700 tons of fuel and 5,400 tons of carbon dioxide (CO2) per year1. Using LEXAN LIGHT sheet to replace high-toxicity PVC/PMMA products on seating frames can help reduce weight by approximately 121.6kg (268 lbs.) based on an aircraft with average of 190 seats, which can help the total commercial fleet save roughly 206,720 tons of fuel and 656,640 tons of carbon dioxide (CO2) per year. 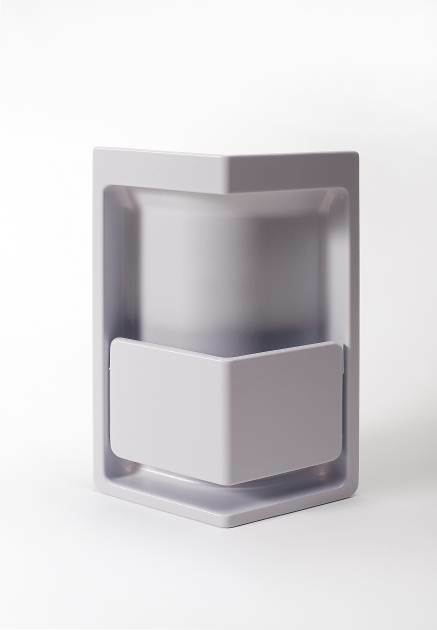 This potential savings is due to LEXAN LIGHT sheet’s innovative closed cell structure, which can be thermoformed into complex 3D shaped parts with very thin walls, down to 0.6 mm, offering substantial potential for overall weight savings and fuel efficiency across an airline fleet. 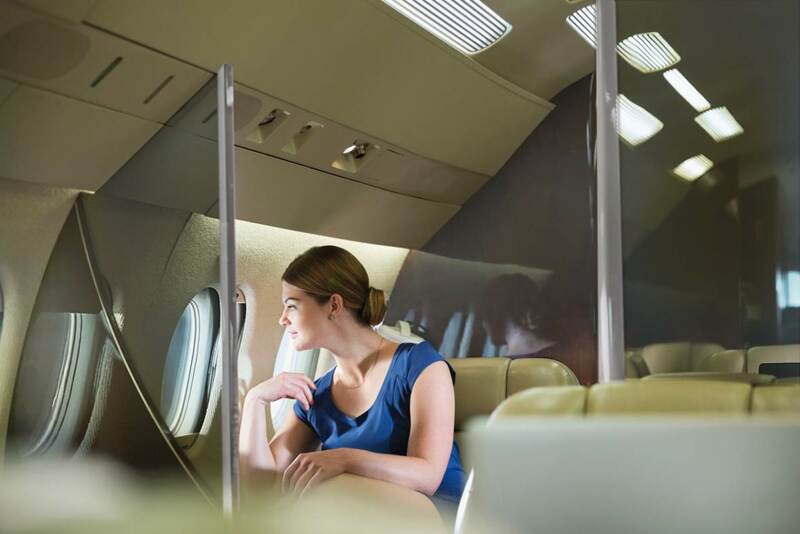 SABIC will present LEXAN LIGHT F6L300 sheet and LEXAN XHR2000 sheet, as well as numerous other innovative solutions for the aircraft interiors industry, at the Aircraft Interiors International Expo in Hamburg, Germany, April 8-10 2014. PHOTO ABOVE: WITH 80% LIGHT TRANSMISSION – THE HIGHEST LEVEL OF LIGHT TRANSMISSION AVAILABLE IN AN OSU-COMPLIANT SHEET MATERIAL TODAY – SABIC’S NEW CLEAR LEXAN XHR2000 SHEET IS A PIONEERING OPTION FOR AIRCRAFT INTERIORS WITH THIS LEVEL OF TRANSPARENCY WHILE STILL MEETING OSU 65/65 HEAT RELEASE AND TYPICAL INDUSTRY FLAME, SMOKE, TOXICITY (FST) REQUIREMENTS (FAR25.853, BSS7239, ABD0031). SABIC’S NEW PATENT-PENDING HIGH PERFORMANCE LEXAN LIGHT F6L300 SHEET IS THE LIGHTEST THERMOPLASTIC SHEET OPTION AVAILABLE TODAY REGARDLESS OF BASE MATERIAL THAT COMPLIES WITH FLAME, SMOKE AND OEM TOXICITY.